When you have a baby, it is difficult to describe how many products are geared for you and your growing family. One of the most important product choices is your baby’s stroller and one of the best brands on the market is Chicco. This article will focus on two of Chicco’s strollers: the Chicco Viaro vs Bravo. The price points are similar and the quality is high, but there are some key differences that can help you choose between these two models. When comparing the Chicco Viaro vs Bravo, the main difference is that the Viaro is designed to accommodate infant car seats while the Bravo is specifically suited for older babies and toddlers. To use the Bravo as an infant stroller you must remove the seat and attach the child tray. This is not difficult, but it is one of the big differences in the strollers. The Bravo does, however, have many features that set it apart from the Viaro. It folds easier and into a more compact package than the Viaro. It has a more ergonomic design and can accommodate different heights. It has a foot brake that makes it easy to stay in place when you need it to. Finally, it has all-wheel suspension which is not found in the Viaro and makes it more adept on different surfaces and terrains. The Viaro, as mentioned before, is setup more for infants than older babies and toddlers. It has an aluminum frame and is 15% lighter than its counterpart. While it does not have the easy one-handed folding capability that the Bravo does, it is still easy to fold and fits in any car. It comes with a full canopy closure that protects your infant from sunlight or cold depending on your location. 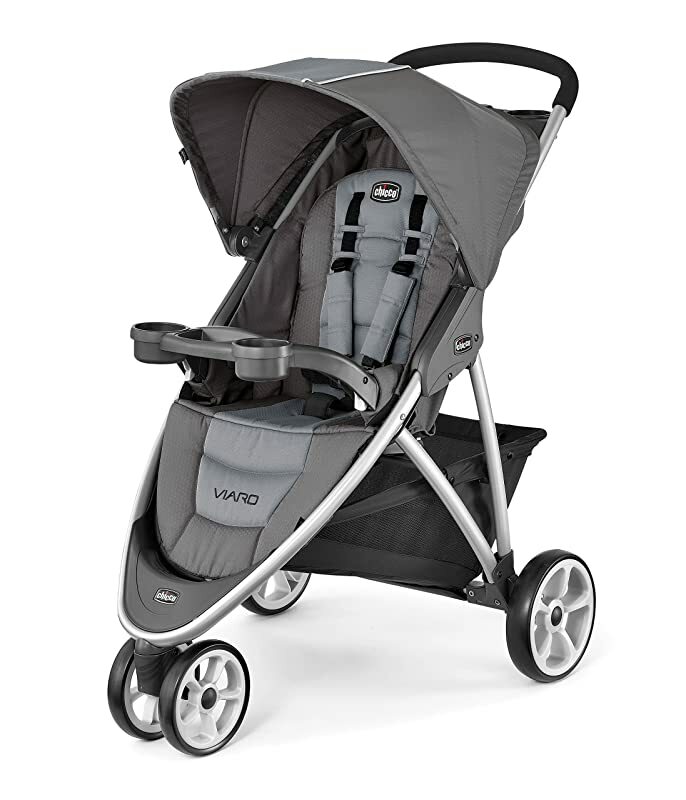 Most of all, the Viaro was designed for an infant and accepts all KeyFit and Fit2 seats without any modifications. Handle Bar Height 3 Positions / 36.5" - 42" 1 Position / 40"
If you are purchasing a stroller for a baby that is less than six months old, the Viaro was designed with you in mind. As mentioned before, it accepts Chicco infant car seats, is easily foldable, and is very lightweight. At the same time, when your baby is old enough to sit up, the Viaro also has an adjustable, padded seat that grows with your baby. Its lightweight aluminum frame is perfect for getting in and out of your vehicle no matter the age of your baby. An underrated aspect of this stroller is the under seat storage and multiple cup holders that allow you to carry what you need from one place to the next while leaving your hands free. The Chicco Bravo is a feature-rich product. It has four wheel suspension, connected rear brakes activated by foot, easy one-handed folding, and fully adjustable seats. The Bravo is a sleek, modern looking machine that is designed for older babies but will accommodate infants as well. It has multiple cup holders, storage under the seat and in the tray, and it is adjustable to almost any height just by the click of a button. Its wheels and suspension make it great for off-road terrain but it is designed to be your baby’s stroller until they no longer need one. After reading about their differences and similarities, you are probably wondering how to choose. 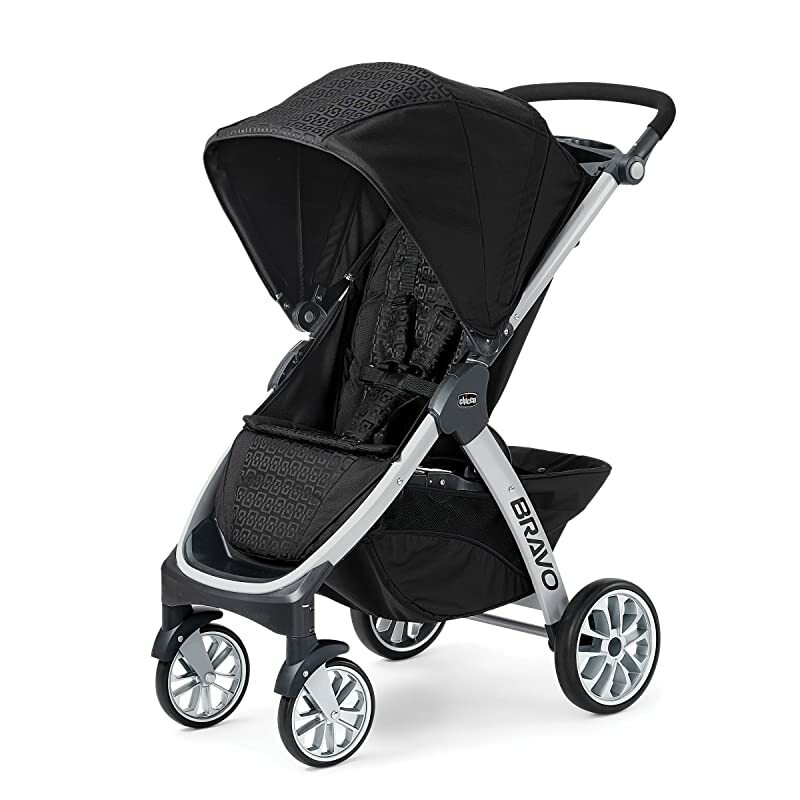 The strollers are similar in their quality, their features, and their price point. There are, however, a few key questions to ask yourself that will help you make the correct choice for your baby. If your baby is less than six months old and cannot sit up by themselves, the Viaro is probably your choice. It has features like the canopy, aluminum frame, and the ease with which it accommodates infant car seats that make it the stronger choice. Of course, the Bravo is not out of the question because it does accommodate infants, it just does not have the same infant specific features. If your baby can sit up by his or herself, the Bravo is more likely your choice. 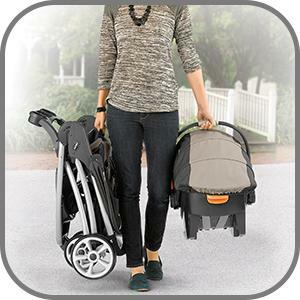 The features and the look of the Bravo set it apart as a better stroller for older babies and one-handed folding capability make it easier to store your stroller while keeping an eye on your toddler. The reality is that the two strollers are similar, but they each have a clear target audience in mind. However, if any of the features mentioned above are more important than the function for which each stroller was created, you cannot go wrong with either. so when deciding between them, it is important to decide what is the most crucial thing for you. Which Stroller is for You? The debate over the Chicco Viaro vs Bravo cannot be easily won or lost. They are similar strollers. There are slightly different features and they were made for slightly different reasons, but to decide which one for you is simple. Go to your local baby store and try them out. Now that you know the features and the function of each, go and put your hands on them. Look at them and see which one looks nicer for you, push them and see which one handles better. The choice is yours and you cannot make a bad one. Photo & Video credits: Amazon, MacroBaby.